When you think of a children’s dance class, the first thing that may come to mind are children smiling, moving, and laughing. If you have a shy or reserved little one at home, enrolling them in a dance class is a wonderful way to boost their self confidence and creativity. At Fancy Feet Dance Studio, we’re proud to be a leading provider of children’s dance classes in Allerton, Crosby, Fleetwood, and Unionport. Whether you’re looking for a children’s ballet class, a boy’s hip hop class, or a contemporary dance class, you’re sure to find the perfect class at our state-of-the-art dance studio. Our dance instructors firmly believe that the art of dance can fill your child’s life with happiness and joy. There are many reasons why enrolling your little one in a dance class can be beneficial. Let’s take a look at some of them below. If your child has shown an interest in dance, he or she will be excited to learn new dance moves. While some children may be intimidated at the thought of learning a choreographed dance with other students, within a matter of time, the dance moves will come naturally to your child, and he or she will start to enjoy the act of dancing with a group of others. Picking up new dance moves will instill a sense of confidence in your child as he or she learns to shake, jive, and groove to the music. 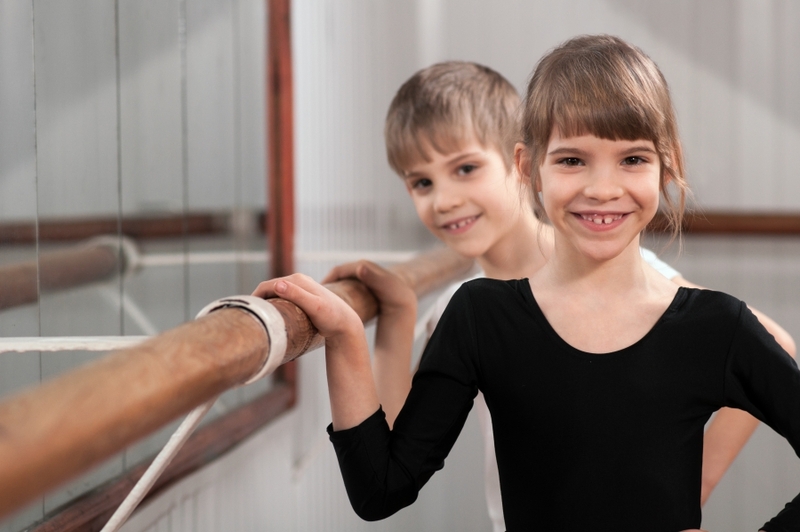 When your child starts taking dance classes, whether it be a jazz dance class or a tap dance class, he or she will have an opportunity to work closely with a dance instructor, as well as the other students in the class. This will teach your child how to properly communicate with others, while getting used to new people and learning how to appropriately interact with peers. Within a matter of weeks, you’ll start to see your child branching out into other things because he or she will feel confident in how to communicate with other adults and children. It’s no surprise that young children suffer negative self-image. As children grow and become comfortable in their own skin, they turn to television, movies, magazines, and music videos to determine “what’s cool” and how they should look. 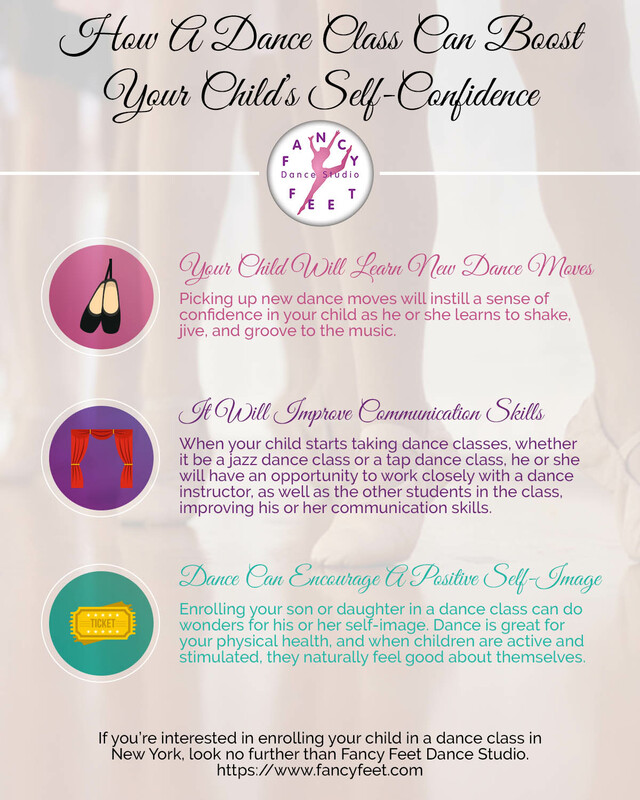 Enrolling your son or daughter in a dance class can do wonders for his or her self-image. Dance is great for your physical health, and when children are active and stimulated, they naturally feel good about themselves. Dancing can help improve your child’s self-esteem and his or her body perception because it is a wonderful way to tone the body and build muscle. 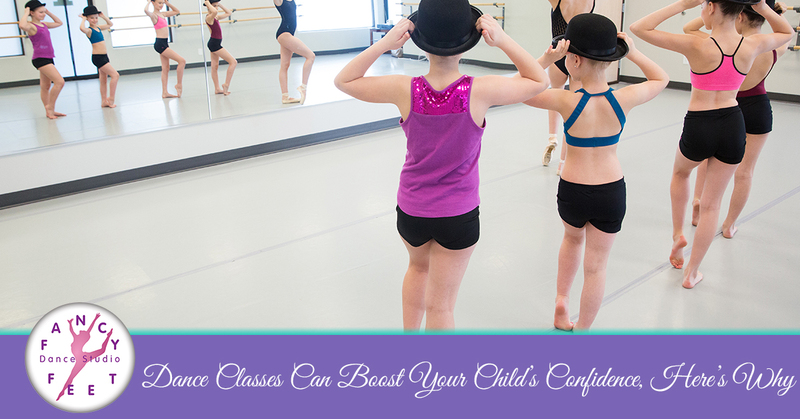 As you can see, dance classes can boost your child’s self-confidence in more ways than one. If you’re interested in enrolling your child in a dance class in New York, look no further than Fancy Feet Dance Studio. We offer an impressive array of fun and invigorating dance classes for children, including jazz and hip hop classes, combo dance classes, creative movement classes, ballet classes, tap dance classes, and contemporary dance classes.